Since three generations the De Biasio brothers preserve the secrets of working artistic wrought iron. On request it is possible to visit the workshop and admire how their creations are brought to life. 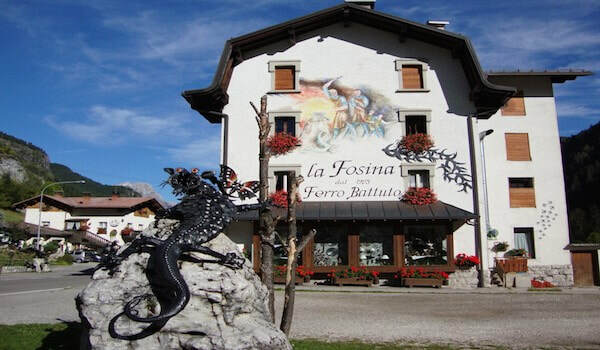 Find the decorative object or the gift idea suitable for you at the shop of La Fosina. Wrought iron objects realized according to the tradition; custom-made unique pieces of big dimensions can be designed. The art of wood carving: an ancient craft which values a natural resource. 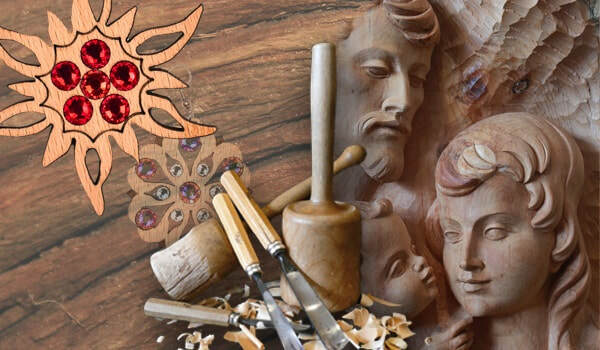 In our workshop you can find: wood sculptures, local handicraft and the original jewels in wood and Swarovski cristals, that combines the creativity and the skills of young artisans. Your point of reference to live the emotion of mountain sports in every season. 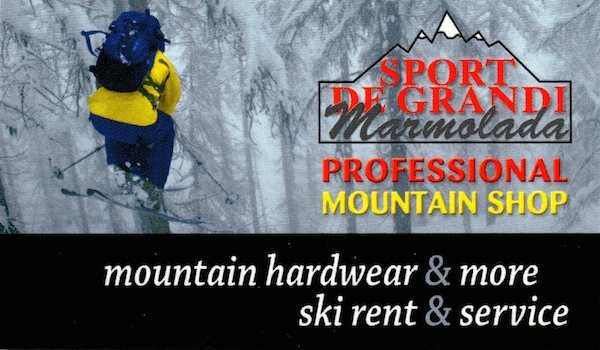 In winter: ski and ski boots rental, ski mountaneering and ice-climbing gear, sharpening of ice climbing tools. In summer: via ferrata set rental, ice axe and crampons for the glacier, baby rucksack and much more. 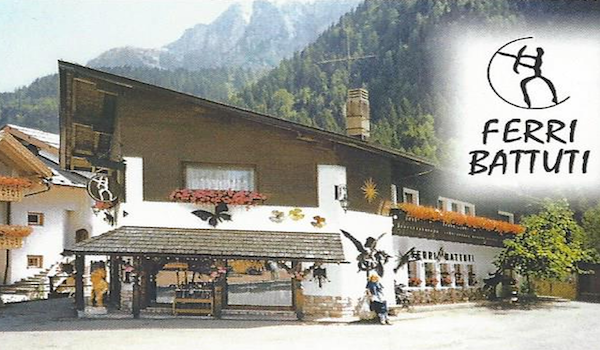 You will find also sport apparel, guides and books for your trekking, via ferratas and climbing in the Dolomites.